Meeting point of famous artists. The simple elegance of the tradition. Altana is a complex of traditionaly decorated houses originaly aged one century old that have been fully restored to meet the wants and needs of any traveler, even the most demanding. These original traditional houses since 1884 along with the location of our settlement and our friendly service have given us a special place in the hearts of all our clients. The magical panoramic view of the private verandas of each apartment, overlooking the whole island, the volcano, the Aegean, the unique sunrises and sunsets, will take your breath away. Enjoy the view from our open air Jacuzzi-pool, try our home made specialities, dive in the magic of Santorini and relax with our yoga programmes, shiatshu massage and weddings. Kafeneio is a preservable area, one century old . Here you may enjoy your breakfast (served until 12 noon) or play a match of backgammon or chess, enjoying our home-made sweets and mezedes, accompanied with ouzo of Santorini. Two Bedroom Apartments (with two bathrooms): A preservable house of Santorini, one century old, with a big sheltered veranda, with a view to the volcano. Studio Romantic: With a great balcony, and views to the volcano and the entire island. V.I.P Suites: With a Jacuzzi and a unique view. 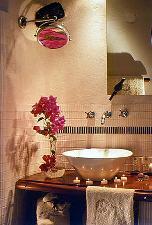 Honeymoon Suite: In top of the resort, with a breathtaking view. 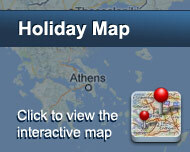 The islands of the Cyclades are unfolded in full in front of your view: Ios, Sikinos, Folegandros, Anafi, up to Crete. 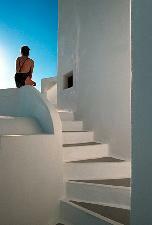 Altana will make your stay in Santorini your most memorable one. Είστε ιδιοκτήτης ή διευθυντής στο ALTANA TRADITIONAL HOUSES; Εγγραφείτε τώρα για δωρεάν εργαλεία, που μπορείτε να χρησιμοποιήσετε για να βελτιώσετε την καταχώρησή σας και να συνδέσετε την ιστοσελίδα σας και το σύστημα κρατήσεών σας.